Here are ten facts about the Three Gorges Dam. The Three Gorges Dam is a hydroelectric dam on the Yangtze River in China. In terms of the amount of electricity it generates, it’s the world’s largest power station. The Yangtze is the third longest river in the world, at almost 4,000 miles. It passes through some of China’s most spectacular scenery, some of which has been lost due to the Three Gorges Dam. The concrete and steel dam is 7,661 feet long, almost 600 feet high and used about 510,000 tons of steel – enough to build the Eiffel Tower sixty times. Some have claimed that the structure is visible from the moon, but this is not the case. The power generated by the 34 generators is enormous. It is equivalent to burning 25 million tons of crude oil or 50 million tons of coal. The reservoir that has been created measures 405 square miles in area and helps prevent flooding in a large area. It also allows huge ocean going freighters to sail into the heart of China. There have been ongoing environmental concerns about the Three Gorges Dam. At least 1.24 million people had to be relocated, and some plant species have been endangered. Over 100 towns and settlements were submerged when the dam was built. In addition, over 1,000 archaeological and historic sites were also submerged and lost. The Chinese government estimates the dam will have cost $30 billion once completed. However, it should only take about 10 years to fully recover the costs. Every year, about 265 million gallons of raw sewage are deposited in the Yangtze River. Once the dam is completed, it is believed by some that the sewage will collect in the reservoir. Although the dam can withstand a large earthquake, should it ever collapse, millions of people living downstream would be in danger. About 360 million people live within the watershed of the Yangtze River. What next? Find out about about the Aswan Dam and the Hoover Dam, or discover more river facts by visiting our rivers resources page. these facts helped me with my awesome science prodject. Nice I love this I’m readying of this for my school work sheet thanks! thank you! I used this info for my school project! Thank you so much, this really helped me with my essay! OMG! Thank you sooooooo much! This really helps me with my geography exam revision! Thank you! 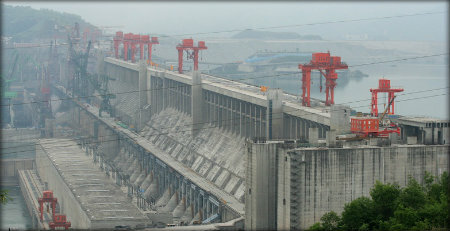 This helped me pass my exams and so I know so much more about the Three Gorges Dam now!! thank you sooo much, I didn’t know these facts and it’ll help me a lot!